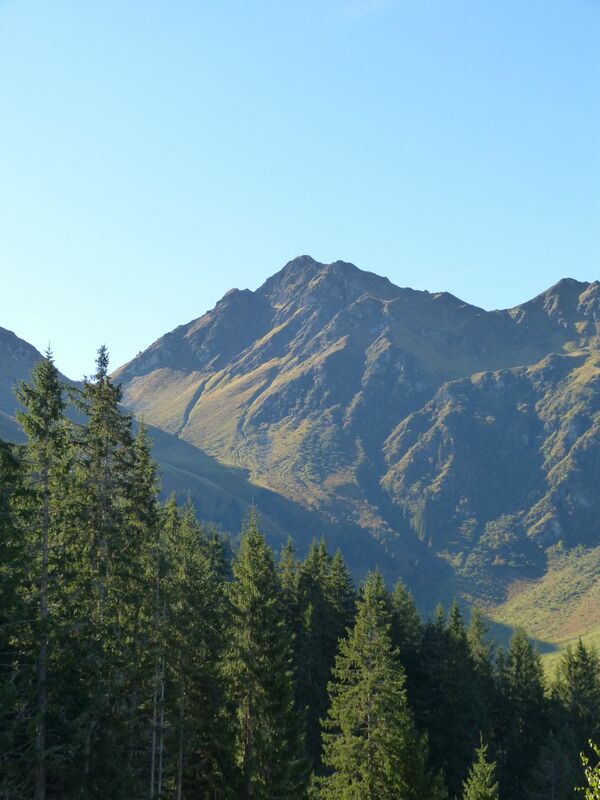 A third trip to the Alps in one summer. I’m getting spoiled. 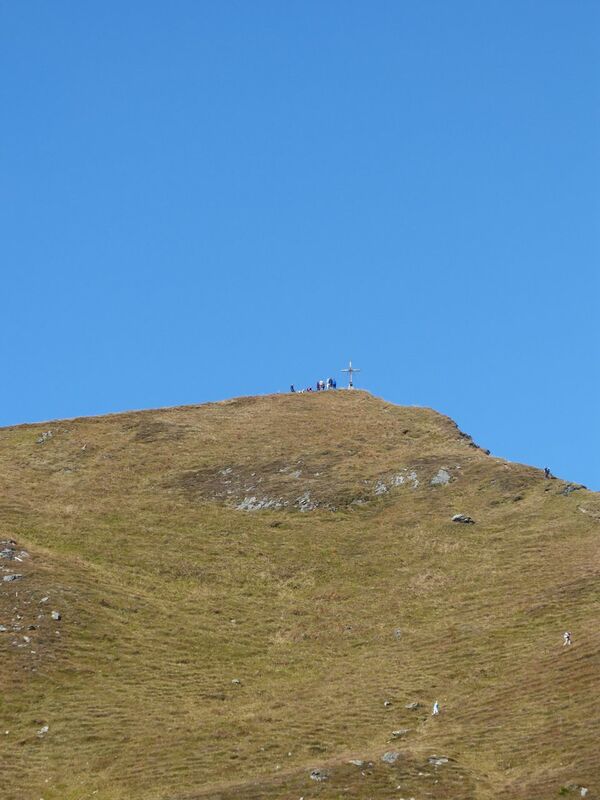 This time it was back to the Bochumerhütte at Kelchalm, just south of Kitzbühel. It falls into the “Special Place” category. 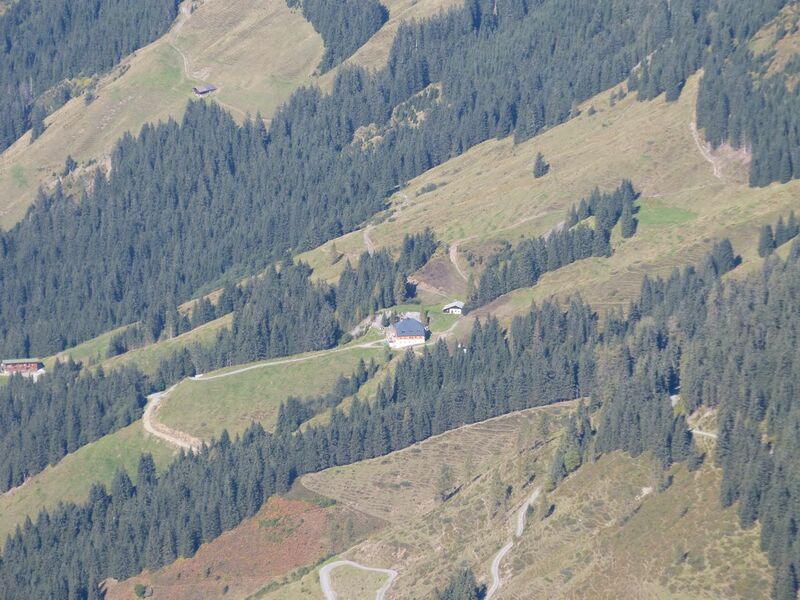 First of all it is where we went to climb my first Alp, back in 2011. More importantly, it’s a very special place for Dr D. She has been going there since she was a child. It was her late dad’s favourite place in the Alps. In turn, she took her girls there for hiking trips. As we realised on this recent trip, for her it’s what Findhorn is to me. Childhood holidays. Family holidays. 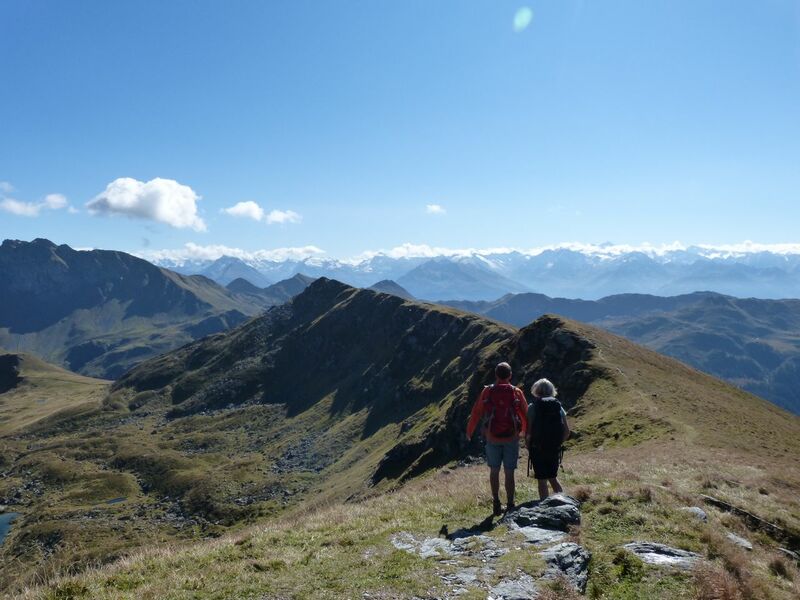 The last weekend in September is getting late in the season (in fact they’d had snow up there that week) but the weather forecast was good so we booked. Plan was to get there early on Saturday, do a mountain that day, and then take it from there the next morning. So, a 6am alarm for a 7am departure. 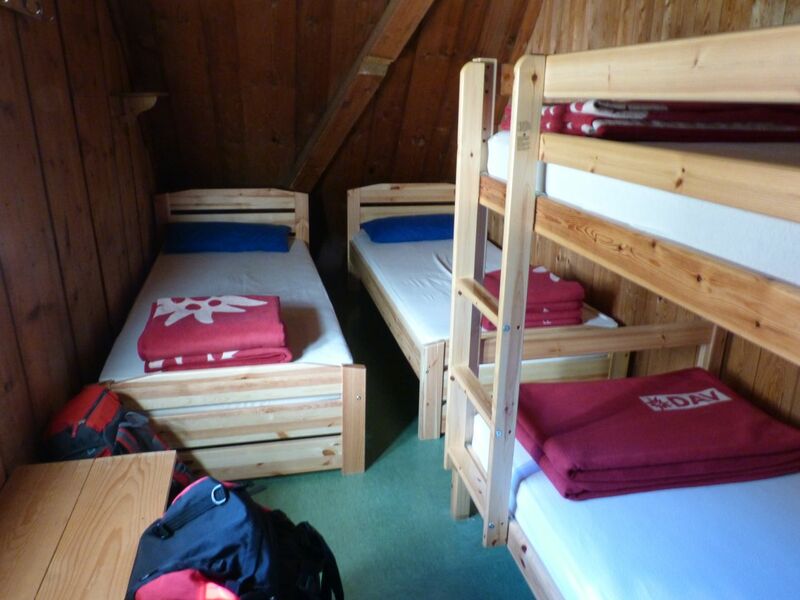 We were at the Hütte for 10.30 to drop the big rucksack with our overnight stuff in it. Then off uphill on a beautiful morning. 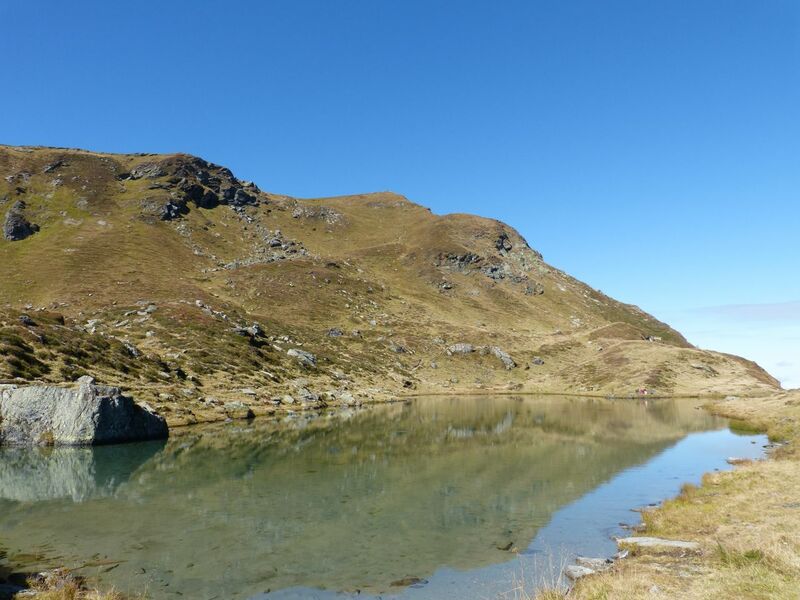 We’d decided to have Brotzeit (picnic lunch) at the Torsee, which is at 2,000m (6,561 ft) and then plan the next stage – depending on how we were feeling and what the weather looked like. Well, by then we were both feeling below our best. Dr D had a cold. I was exhausted from lack of sleep, the 3 hour drive, and the effects of climbing at 6,000 ft in warm sunshine. Some ham, cheese, bread and grapes revived us a bit (red wine and coffee would have been nice, but I’d have been carrying them). The gorgeous location inspired us a bit. Yes, it was steep. No, it wasn’t difficult (but clearly one 50m part would be tricky on the way down). I struggled, however. A combination of the altitude, the sun and tiredness. But we both got to the top. Definitely worth it. 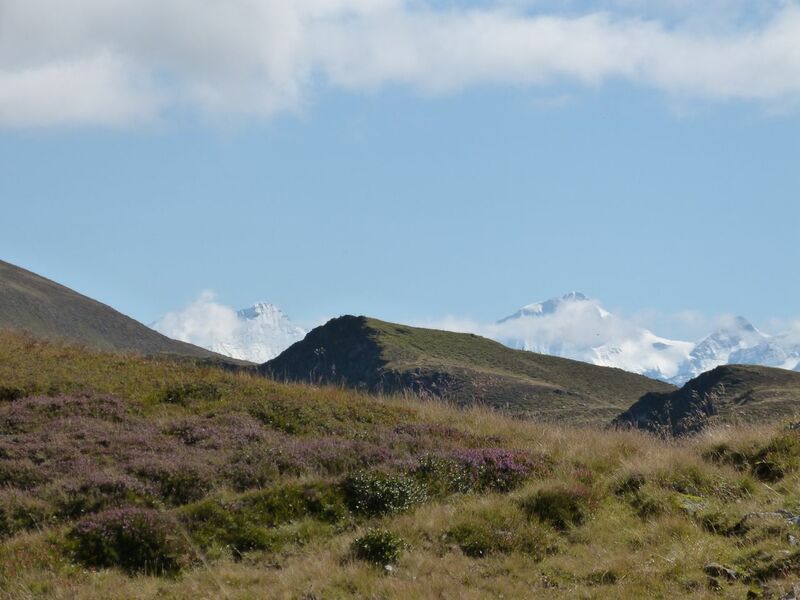 Amazing views all around on a clear day, with some fresh snow on the higher peaks further south. We decided to head along the ridge to the next peak (Teuffelssprung) and then down from there. A fairly level and easy hike along the ridge, but the path disappeared just past Teuffelssprung. We had to turn back and descend from Gamshag rather than risk getting into trouble. I reckon we were on the move for about 6 hours by the time we got back to the Hütte. Very tired. But as always, getting to sit down, take the boots and socks off, and drink a beer, some water and an Obstler soon revives the soul. (The body takes much longer). The evening was marvellous. 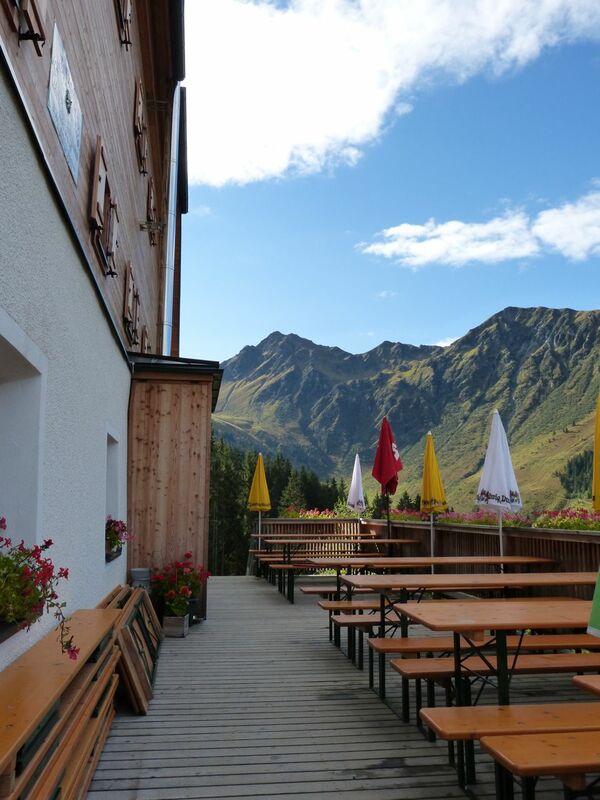 A very friendly family are running the Hütte, and the food was superb. What added to the enjoyment was the atmosphere – 2 large groups (15 in one and 11 in the other) were also overnighting, and the buzz they created over dinner was special. Sunday saw us heading home rather than uphill again. Dr D’s cold was getting to her. She wouldn’t have enjoyed another climb – even the short one we’d had in mind. That’s it until 2015 now… unless we go back at New Year! This entry was posted in Kitzbühel, special places, sports and tagged Alps, Austria, Special Places. Bookmark the permalink.